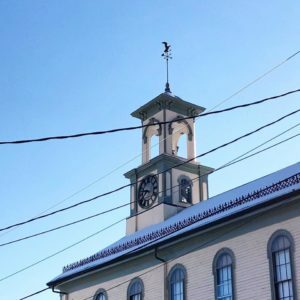 Seacoast Local Events | Week of February 4, 2019! –Gary Kim Kitchen Takeover at Ore Nell’s (4:00 – 9:00). –Grand Opening at Fuki (4:00 – 12:00). –Salty Dream Catcher Workshop at Fosters Clambakes (5:00 – 7:30). –Sister Outlaw at Earth Eagle Brewings (6:00 – 9:00). –Writer’s Night Out at Portsmouth Book & Bar (7:00). –An Evening with Dawes at The Music Hall (8:00). –Valentine’s Day Prep Party at Coastal Aesthetics Medi-Spa (5:00 – 8:30). –Shoplifters at The Music Hall Loft (7:00). –Plant Based Eating w/ Morgan Avery at Santini Family Chiropractic (6:00 – 8:00). –Chinese Cooking Class with Chef Jie He at First Hill Gardens (6:00 – 7:30). –Drop-In Dance Lessons at The Strand Dover (6:00 – 9:00). –Film: Albatross at The Button Factory Stage (6:00 – 9:00). –Open Mic Night at Portsmouth Book & Bar (7:30). –Game Night at The Press Room (8:00 – 11:00). –Black Ale Project Release at SoMe Brewing Co. (4:00 – 8:00). –Be Our Valentine at The Shops at Cape Neddick (5:00 – 7:00). –Print & Sip at Bell Farm Shops (6:00 – 8:00). –Ty Openshaw at Woodland Farms Brewery (6:00 – 8:00). –Free Film Series: Dirty Dancing at STAR Theatre (6:30 – 8:30). –Improve Open Jam at Kittery Community Center (7:00 – 9:00). –Women’s Adventure Film Tour at The Music Hall (7:00). –Allysen Callery at Portsmouth Book & Bar (8:00). –Comedy Night at The Press Room (8:00). –Drink the Bar Dry at Maine Beer Cafe (12:00 – 6:00). –Barbara Rita Jenny Artist Exhibit and Reception at PMAC (5:30 – 7:00). –Galentine’s Day DIY Woodsign Workshop at Board & Brush (6:30 – 9:30). –Oscar Nominated Shorts at The Music Hall Loft (7:00). –The Rushmores at The Dance Hall Kittery (7:30 – 10:00). –Mike McDonald’s 18th Annual Comedy Extravaganza at The Music Hall (7:30). –Dan Blakeslee & The Calabash Club at Portsmouth Book & Bar (9:00). –Strange Machines at 3S Artspace (9:00 – 12:00). –Paintbox at The Press Room (9:00). –Carmen (Bizet) at The Music Hall (1:00). –Seeking Sweethearts at The Mount Agamenticus Conservation Center (5:30 – 7:30). –Joni 75: A Birthday Celebration at The Music Hall (7:00). –NoWhere Men at The Blue Mermaid (7:00 – 10:00). –The Elton Joel Show! at York Harbor Inn (7:00 – 10:00). –New Legacy Swing Band at The Dance Hall Kittery (7:30 – 10:30). –Hickory Horned Devils at Portsmouth Book & Bar (9:00). –First Hill First Anniversary Pop-Up at SoMe Brewing Co. (12:00 – 5:00). –Billy Elliot the Musical at Seacoast Rep (2:00 – 4:00). –3rd Annual Storytelling Festival at West End Studio Theatre (2:00 – 4:00). –Anglo-Celtic Traditional Session at The Press Room (2:00 – 5:00). –Jazz Lecture Series at PMAC (3:00 – 4:00). –Portsmouth Symphony Orchestra Quintet at The Dance Hall Kittery (3:00 – 4:30). –Bottle Release & Tropical Staycation at Earth Eagle Brewings (5:00 – 10:00).